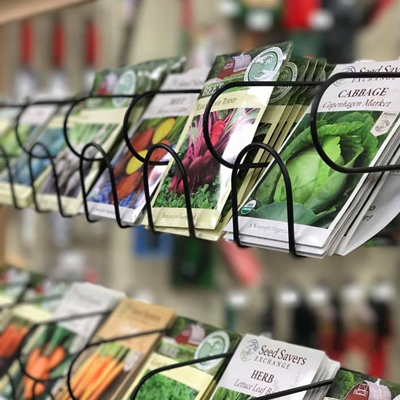 We currently carry a wide array of vegetable, herb and flower seeds from Seed Savers Exchange, Ed Hume, and Botanical Interests. All our seeds are GMO free and many are certified organic. Seed Savers Exchange boasts of numerous varieties of heirloom, non-hybrid seeds that travelled from the “Old Country” in the 1700 and 1800’s.